October is upon us and what better way the celebrate the season than to grab a hot coffee, crunch some fallen leaves and enjoy horror films! For the next 5 weeks I will be breaking down my favorite fright films leading up to the darkest night of the year, Halloween! In a rare time that the remake far surpasses the original, The Fly delivers on the thrills and chills of science gone wrong. Jeff Goldblum owns the film as Seth Brundle, a mad scientist that has finally solved the riddle to teleportation. Allowing Veronica Quaife (Geena Davis) to chronicle his work he becomes a threat to mankind when he accidentally joins DNA with a common house fly. 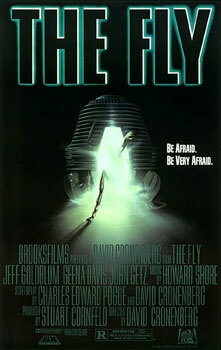 Gruesome, gory and down right fun, The Fly continues to fright. Everyone loves a good old fashioned Zombie Apocalypse tale but when it is also smart and funny? What you have is a winner. Woody Harrelson and Jesse Eisenberg light up the screen with their road buddy angle and Emma Stone took the first step towards superstardom. The real reason to be on this list is the excellent Bill Murray cameo that makes this pseudo-horror flick truly masterful. Based on the classic Stephen King novel of the same name, Carrie is the story of a teenage wallflower who has special telekinesis powers that really cause death and destruction at the climax of the film but what separates this from other supernatural thrillers in that Carrie (Sissy Spacek) really isn’t the monster. Her fellow classmates torment her, teachers belittle her and her mother takes ultra religious based abuse to new levels. It is rare to see the demise of characters in a film actually satisfy the audience. Have you ever done anything that felt really wrong at work to protect your own job? This is the predicament that Christine Brown (Alison Lohman) finds herself in as a lowly loan officer who is forced to take a hard stance in her benevolent choices with extensions on home loans. Unfortunately for her, she pisses off the wrong old lady who puts a nasty curse on her. Unless she can find a way to break the curse, she will be tormented by a demon for 3 days until she is literally dragged to hell. This film would have received a much higher rating from me if it wasn’t for the disappointing climax. That being said, the film was unique in it’s time as a wholly low budget independent that crushed the box office with its documentary style. Lost in the backwoods of Maryland, Heather Donahue, Michael Williams & Joshua Leonard (All using their actual names) look for the answers to an old folk tale that costs them more then they ever bargained for. 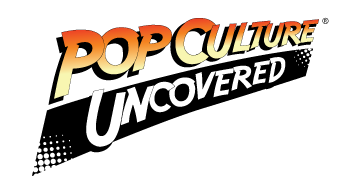 Check back next Friday for the continuation of my top 25 horror films of all time. Halloween is a wonderful time to let the things that go bump in the night have their moment in the sun. I hope these bumps jump out at you too.